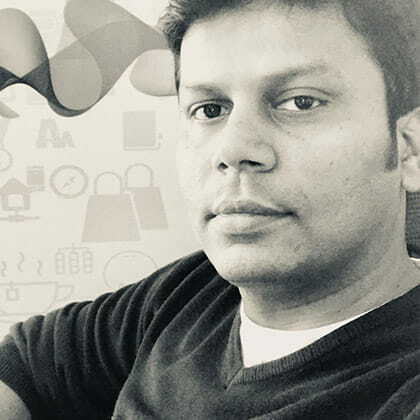 With an extensive experience of over 15 years in the industry, Krishna Kumar Revanur currently heads iProspect South, by driving digital solutions and managing clients and teams across our offices in Bengaluru and Chennai markets. He has played a pivotal role in expanding iProspect South from handling six clients to signing over sixteen clients in the last three years. Until recently, he headed Media strategy for a range of blue-chip global Clients at Mindshare for South and East regions. The role involved guiding clients with their media strategy and investments, finding a suitable role for a medium considering the Marketing objectives, Business challenges and understanding Consumer dynamics. With an extensive Media Planning, Buying and Strategic planning expertise across Technology, Insurance, Automobile and FMCG categories in India and developing their annual media strategy and implementation across the same to having worked at Microsoft India for three years fueled his interest and passion for digital.